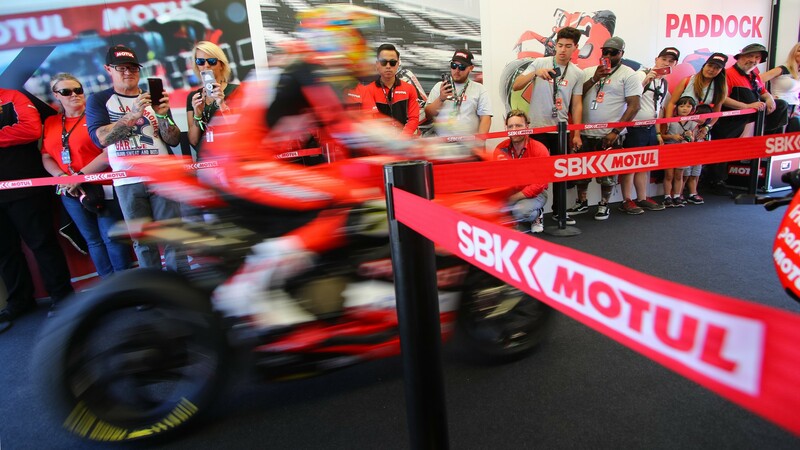 There are just a few weeks left before the 2019 Motul FIM Superbike World Championship season will kick in Australia this month, and fans are all waiting to get a hint of all the incredible racing action that WorldSBK has already promised to be offering this year. Heading into their fourth season as the main sponsor of the championship, French lubricant producer Motul is preparing to offer the best of their entertainment to all the fans attending to the races. With plenty of on and off-track activity introduced in the program this year, people coming to the circuit will all be involved at 360 degrees into an unforgettable racing experience. Over the last three years, more than 9000 Motul guests have already been enjoying the series taking part to exclusive “behind the scene” experiences and this year there will be even more entertainment and action to enjoy, as the series will be welcoming a brand-new format starting from 2019. With three WorldSBK races rather than two, lots of new contenders aiming for the title and new bikes making their debut this year, Motul’s VIP clients and all the WorldSBK fans will have plenty to see this season. Apart from continuing to back up the championship and benefit from the exposure that the series provide to the brand worldwide, Motul will also continue to support some of the teams competing in the WorldSBK class. Providing their best products for the all-new Ducati Panigale V4 R of the BARNI Racing Team, the Kawasaki ZX-10RR of Leandro Mercado (Orelac Racing VerdNatura), and partnering with the Pata Yamaha WorldSBK team for 2019, the French lubricant manufacturer will continue to develop their range of products within one of the most important production-based motorcycle racing series.